When looking for a new laptop, one of the first things that people look at is power and battery life -- and it pays to know how the processor comes into play. And that USB Type-C is beginning to revolutionise charging options. Here's what you need to know. 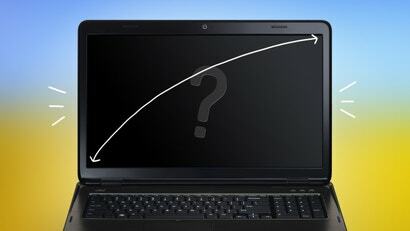 What Laptop Screen Size Is Right For You? The term 'laptop' has become a wide-ranging one -- it covers a variety of portable rigs that vary in their specs. This is great in terms of the amount of options out there, but can be confusing if you're not quite sure what to get. When it comes to down to it, size really does matter, and it should be at the centre of your decision making process. It's a new year -- time for a fresh start, and some fresh tech for work or uni. Laptops are becoming increasingly versatile, powerful and thinner. The market is flooded with options and it can be tricky to pick what will be right for you. That's where the specs come in. If you're not quite sure what all those letters and numbers mean, here are the most important ones.